Cancer Treatment Centers of America is the 2011 recipient of the Invisible Disabilities Association Medical Honors Award. 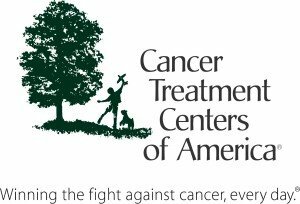 CTCA has been chosen based upon their pioneering of a new paradigm in cancer care known as the Patient Empowerment Medicine® model. For almost 30 years, CTCA has been on the leading edge of cancer treatment with this personalized, whole-person care model. With cancer hospitals in suburban Chicago, Philadelphia, Tulsa, and suburban Phoenix, CTCA continues to expand its accessibility to patients. CTCA cancer experts provide a full range of treatment options—including options for advanced stage cancers and complex cases—all under one roof. Their doctors believe in your fundamental right to be informed about, and to choose among, the best available options for your cancer treatment. Rather than telling you what you need, the doctors at CTCA will listen to you and provide clear, well-defined choices. The 2011 IDA Medical Honors Award was accepted by Katherine Puckett, PhD on behalf of CTCA. Dr Puckett is the current National Director of Mind-Body Medicine for CTCA and has been at CTCA for the past nine years. Dr Puckett has more than 30 years of experience in human services addressing the needs of vulnerable populations who have sustained major losses. Her professional background includes over 20 years in leadership positions in social services and health care, with additional experience as a clinician, researcher, and teaching assistant.